Current: How to Create Mind Map? Want to create mind map? We will provide you with an introduction on mind map and let you know how you can create mind map with our mind map software. 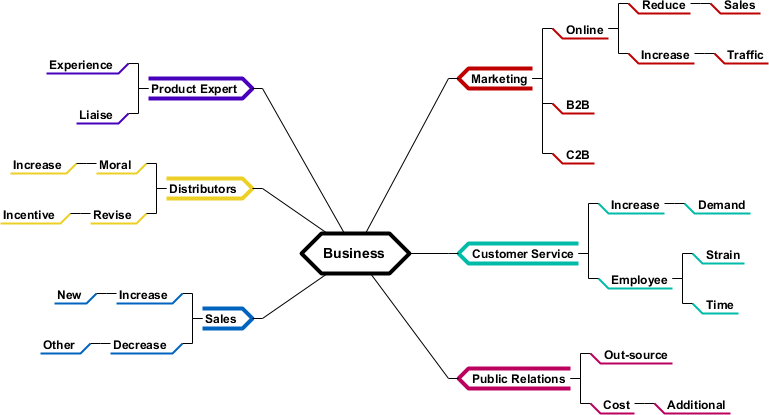 Mind Maps is one of the most widely used ideas management tool. It is a visual map that shows what you have in your mind. Mind Maps are created for organizing information. It helps you organize ideas produced in a thinking process, allowing you to visualize an idea and other ideas related to it. Mind map layout ideas in a map structure. In the map, the primary idea appears in the center (we call it the center node). Ideas related are branched out from the center node. Mind maps are very simple to read and create. Typical mind maps contain two symbols — idea and connector. Some mind maps include also emoji, free text, embedded images, etc. It’s perfectly alright to include them in your mind map, just don’t spend all your time on enriching your mind map with those stuff. Keep in mind that the reason for mind map creation is to keep track of your ideas. How to Draw Mind Map Chart? 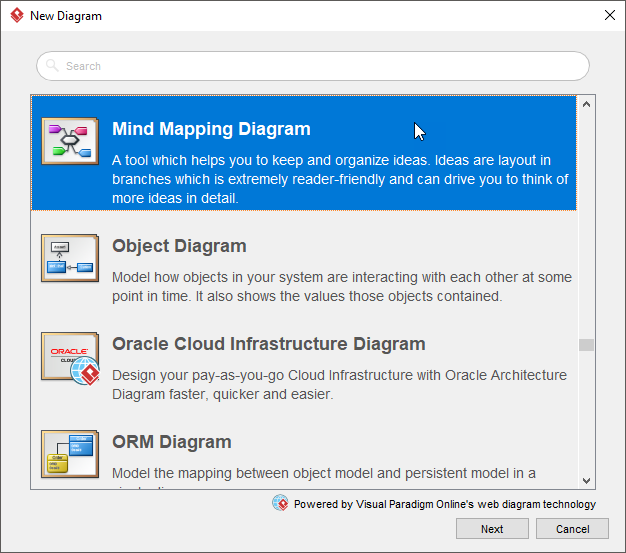 In the New Diagram window, select Mind Map Diagram and click Next. 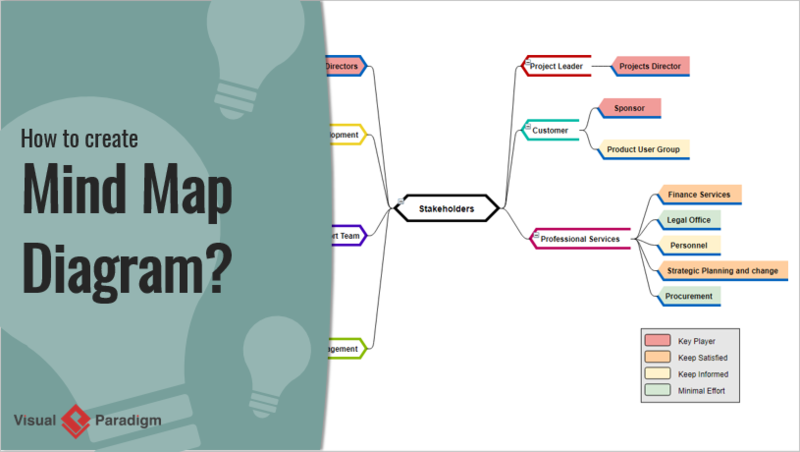 Select an existing mind map template, or select Blank to create from scratch. Click Next. Enter the name of the center idea node. Create and complete the mind map diagram through drag-and-drop.